We've welcomed a number of new organisations from the American and Canadian museums sector with Heritage Toronto, the Princeton University Art Museum and the Whitney Museum of American Art joining us to manage their assets with ResourceSpace DAM. The Royal Brompton & Harefield NHS Trust is the latest organisation from within the UK healthcare sector to start using our Open Source software to securely manage their digital content. In education, we have expanded on both sides of the Atlantic and started working with teams from Gonville & Caius College, University of Cambridge and Bryanston School, both in the UK, and Marymount University in the USA. We're also very pleased to welcome a Doncaster based sport consortium, consisting of Doncaster Rovers FC and Doncaster Rugby Football League Club who are looking to increase efficiency by centralising their digital brand assets. The ease with which ResourceSpace ensures consistent corporate branding and easy sharing of digital assets has led to new partnerships with CCL Industries, AutoTrader and Global Knowledge. We have also expanded further into the not-for-profit sector. New clients Rainforest Alliance and Christian Blind Mission are just two of the latest charities to discover the benefits of using a DAM system. 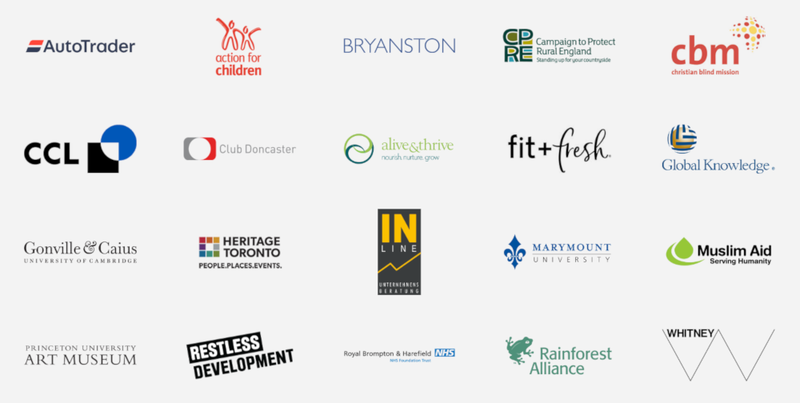 Would you like to join these organisations and find out how ResourceSpace can help you manage your brand assets effectively? Get started right away with a free trial or have a chat about your requirements with one of our experts.